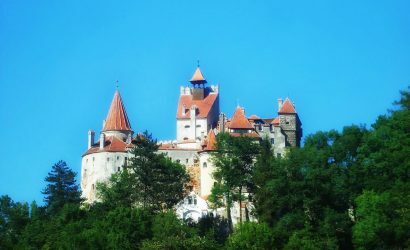 Brasov Sightseeing Tour is giving to you the chance to enjoy the medieval charm of one of the largest and most cherished cities of Romania. 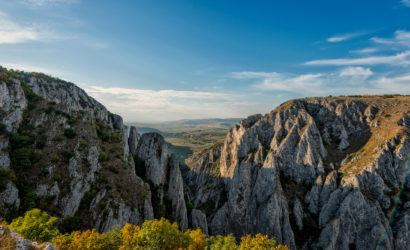 Located in Tara Barsei (Burzenland), known also as Little Transylvania, and surrounded on three sides by mountains, it was a perfect place for a medieval settlement. The old city, founded by the Teutonic Knights in 1211, is one of the best preserved cities in all of Europe. It was thoroughly restored to the delight of an increasing number of tourists. 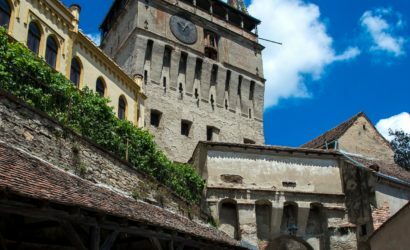 For having a multi-days tour, you might consider also visiting the citadel of Sighisoara or hiking in the picturesque mountains that surround Brasov. Meeting place: Brasov-The Council Square (near the entrance into the History Museum). 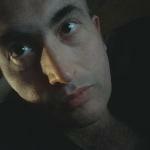 The cost mentioned on this page (15 €/person) is calculated for a group of 14 persons. 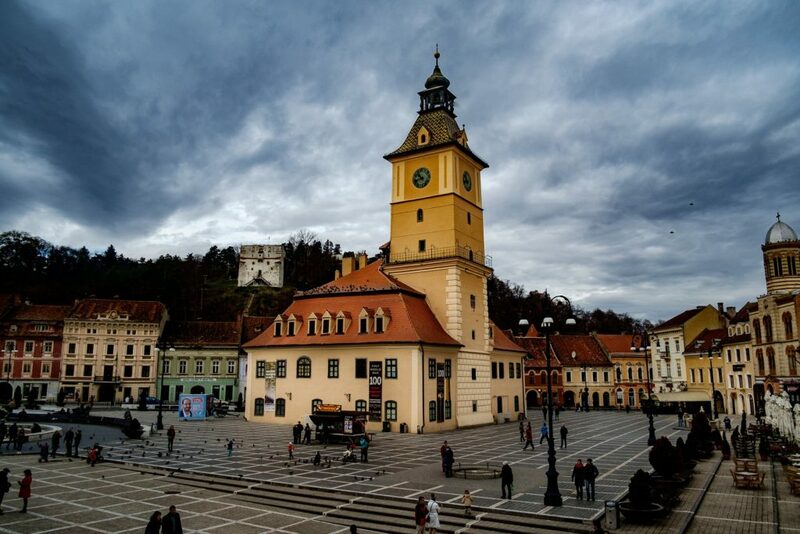 We will start Brasov sightseeing tour from the heart of the old medieval town – The Council Square (Piata Sfatului), known to the Saxon population as the Marktplatz. Lined with beautiful red-roofed merchant houses, the square is one of the finest in the country. The buildings recall the region’s German heritage. In the center of the square lies the Council House, built in 1420. The tower, called the Trumpets Tower, is in fact much older, and was once a watchtower before being incorporated into the main building. It was the place where an alarm was sounded when danger menaced the city. What you see today is largely the result of an 81-year renovation after the great fire of 1689. Then, the pile was restored and completed with the Renaissance loggia dominated by the baroque facade bearing the coats of arms of the town. The tower is 58 meters high. Around the square we’ll find some of the smaller landmarks: the Renaissance style Hirscher House or Merchant’s House (now the “Cerbul carpatin” restaurant), the beautiful entrance to the Orthodox cathedral or the museum dedicated to the Muresianu family out of which came the first editor of “Gazeta de Transilvania”, a political newspaper published in the 19th century. 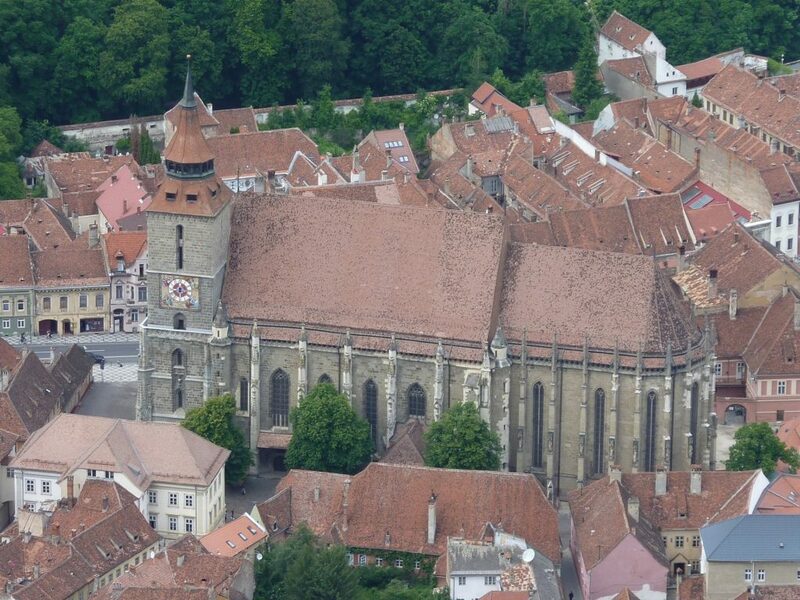 One of the square’s corners is dominated by the town’s most famous landmark, the Black Church, which is our next objective (it is the most important landmark of Brasov sightseeing tour). The originally-Roman Catholic structure was known as the Church of Saint Mary, replacing an older building used for the same purpose.Construction on it began during the late 14th century, at an unknown date — analysis of related evidence has led several researchers to conclude that work began between 1383 and 1385.It is known that, in its first stages, the building was serviced by a priest named Thomas(died 1410), whose grave is located in the choir area.Work on the fortifications in the surrounding area probably began at the same time as work on the church, leading in time to the completion of Braşov’s third citadel. Completed during the 15th century (soon after 1476), the church belongs to the final stages of Gothic architecture.The result was a three-nave basilica, all the same height, as was preferred during the 15th and 16th centuries in the German lands, where most of the architects and masons originated. The Catholic services were replaced with Lutheran ones during the Protestant Reformation, coinciding with the influence exercised by Johannes Honterus. A statue in memory of Honterus was later erected by Harro Magnussen on one side of the building. The structure was partially destroyed during a great fire set by invading Habsburg forces on the April 21, 1689 (during the Great Turkish War).Afterward, it became known as the Black Church. A large part of the inner structure was modified during the 18th century, breaking with the original design. The cathedral is a major symbol of Braşov, and a museum open to visitors of the city center. A Lutheran service is held each Sunday for the small German community in the city. Leaving the Black Church, we’ll walk a little bit along Baritiu street before admiring two of the oldest gates of the medieval town: Ecaterina Gate and Schei Gate. 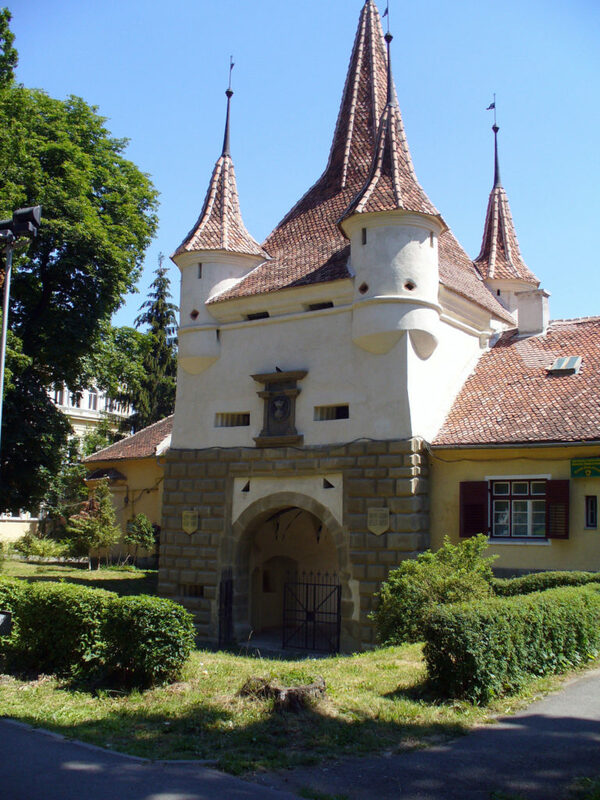 Ecaterina’s Gate was built in 1559 for defensive purposes. It is the only original city gate to have survived from medieval times. In fact the fairy-tale looking tower is only a part of the original gate; documents talk about the existence of a wooden structure which was demolished in 1827. The other remaining gate of the town is Schei Gate (Poarta Schei) right next to Ecaterina’s gate. The structure that we can see today was built in 1827, in Baroque style, and replaced the old Schei Gate which was heavily damaged by fire. The gate looks like a triumphal arch with three openings. Above the small arches on both sides of the gate there are inscriptions in Latin. 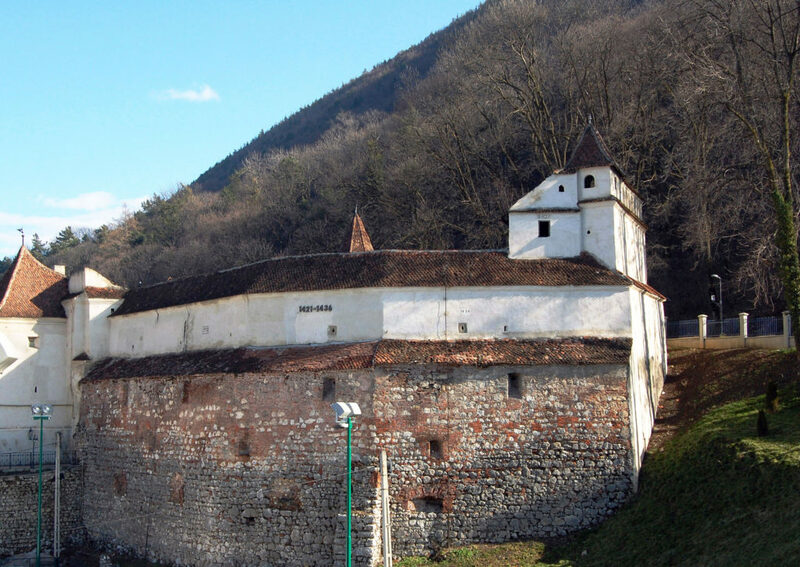 Soon we arrive at the best preserved fortification of the town: The Weavers Bastion. 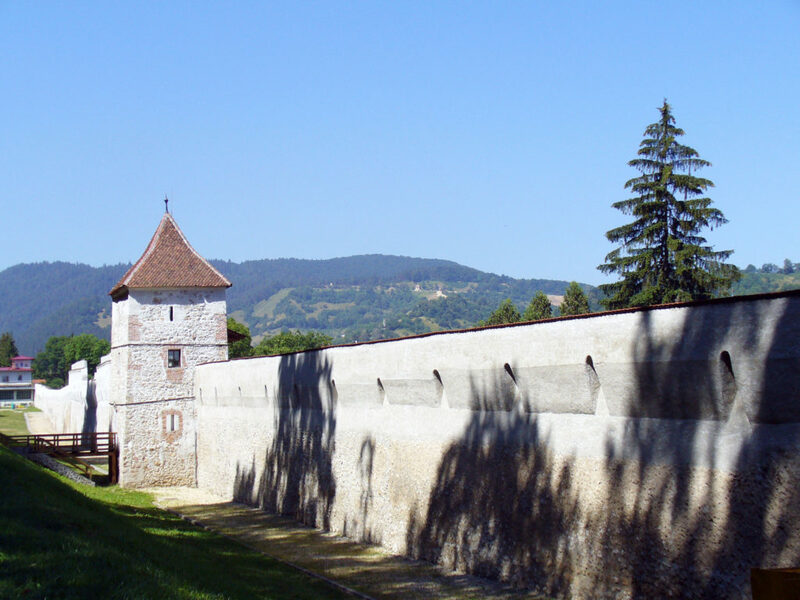 The bastion was built in two phases: the floor, corresponding to the first two galleries, was built between 1421-1436, whereon that of the upper galleries, built between 1570-1573 was added, so at is mentioned on the North-Eastern Tower. 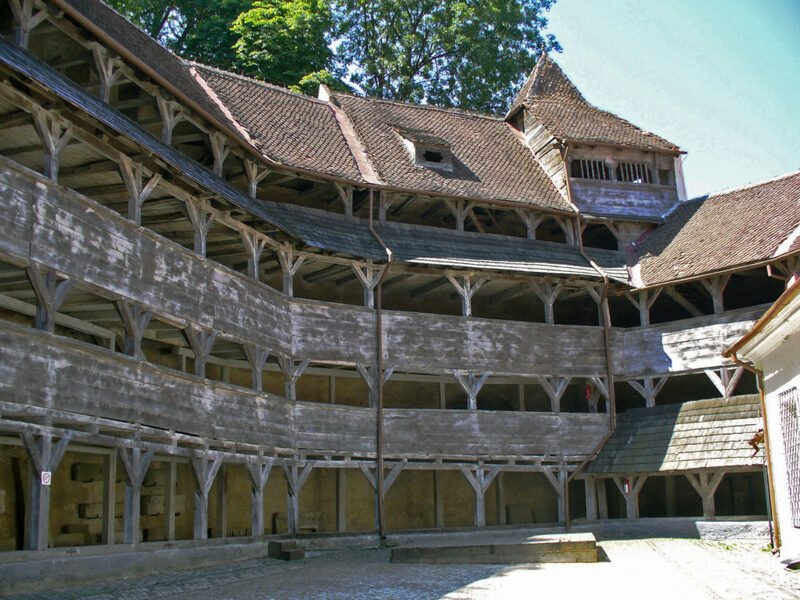 Part of it collapsed in 1701, thus it was reconstructed in 1750 and restored in 1910. The hexagon shaped building occupies 1.616 sq.metres and its thick (1.5-3m ) battered walls also have loopholes for pouring tar. On the ground floor there are crevices for cannons. On the interior side of the walls there are 3-4 storey hallways. In 1800 two other constructions were built for the guilt, while in 1807, when the bastion lost its protective function a watch house was built to the entrance. The year 1908 brings along changes and the bastion becomes the scene of more and more cultural events. Due to its excellent acoustic even opera nights were held here. Since 1950 it houses a museum. The small museum (with only a few English captions) shows photographs of long-gone bastions, impressive weapons decorated with Arabic inscriptions once used by the Turks to bash Saxons, and some huge guns. Best of all is the large model of Brasov in 1600, painstakingly made by architect Friedrich Herman in 1896 for the Millennium Exhibition in Budapest. From this bastion, we’ll follow Tampa Promenade that runs northeast along the remnants of Eastern Walls, which include the Ropers’ and the Drapers’ bastions. Close to the Ropers’ Bastion – which was first erected in 1416 – there is a station where we can board a cable car which will take you up to the summit of Tampa hill. 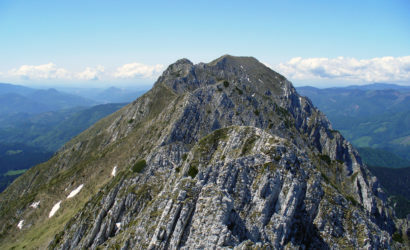 At 375 meters above the town center, this peak provides a great view. 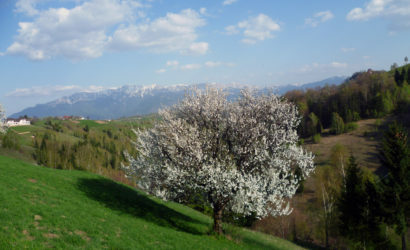 A citadel named Brassovia used to stand on this hill, but the townsfolk demolished it to obtain material for the early stretches of the Brasov walls. 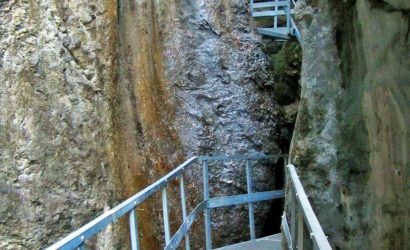 Finally, we’ll walk through Nicolae Titulescu Park and we’ll climb up Warthe Hill to reach the bellevue point which will offer to you the opportunity to take some really good pictures. We won’t leave the area before admiring Black Tower, White Tower and Western Walls with Graft Bastion. Soon, we’ll reach again Baritiu street and we’ll finish Brasov sightseeing tour in the Council Square.